Police said, on Tuesday, that dozens of Maoist guerrillas had been killed in jungle raids in India’s remote interior by commandos fighting the country’s longest-running conflict. Ambushes on rebel camps over the past two days in forest deep inside the western state of Maharashtra have left at least 37 fighters dead, police said. 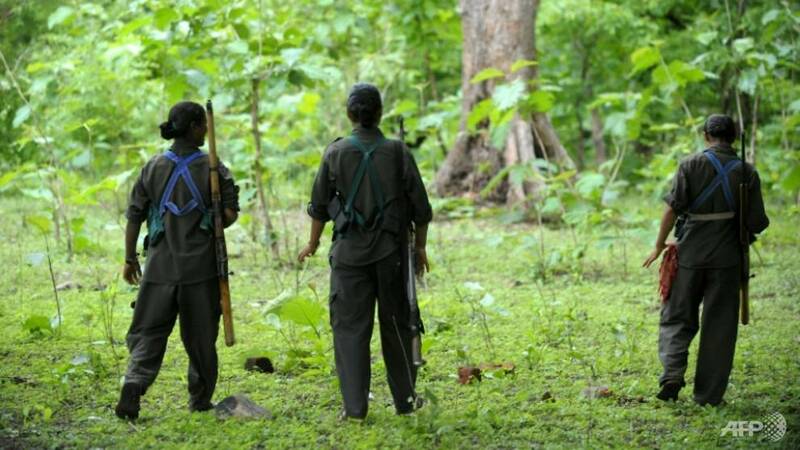 In the latest raid six guerrillas, including four women, were killed in a shootout late Monday in Gadchiroli district, Maharashtra state’s head of anti-Maoist operations Sharad Shelar told AFP. Police also seized weapons and ammunition from the encampment, roughly 900km east of the state capital Mumbai, he added. On Sunday, special commandos had surrounded a rebel camp in forests within the same district and fought approximately 100 guerillas, police said. Sixteen bodies were recovered from the scene, but police later pulled another 15 corpses from the nearby Indravati River of fighters they said had drowned or succumbed to injuries. Many of the slain rebels were women, police said. India’s Maoist insurgency began in the 1960s, inspired by Chinese revolutionary leader Mao Zedong, and has cost thousands of lives in almost daily incidents of violence. Thousands of armed men and women – also known as Naxals – claim to be fighting for the rights of the indigenous tribal people, including the right to land, resources and jobs. The Maoists are believed to be present in at least 20 Indian states but are most active in forested resource-rich areas in the states of Chhattisgarh, Orissa, Bihar, Jharkhand and Maharashtra. Gadchiroli is a key transit point for Maoist guerrillas, connecting western India with central and southern states in a restive tranche known as the “red corridor”. Last month eight members of the security forces were killed in Chhattisgarh after suspected rebels blew up their vehicle with a landmine. Two soldiers were killed last week in a similar explosion in the central state.